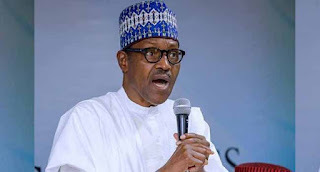 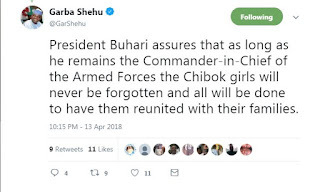 resident Muhammadu Buhari says the remaining Chibok girls in Boko Haram captivity will not be forgotten as long as he remains Commander-In-Chief of the Armed Forces. 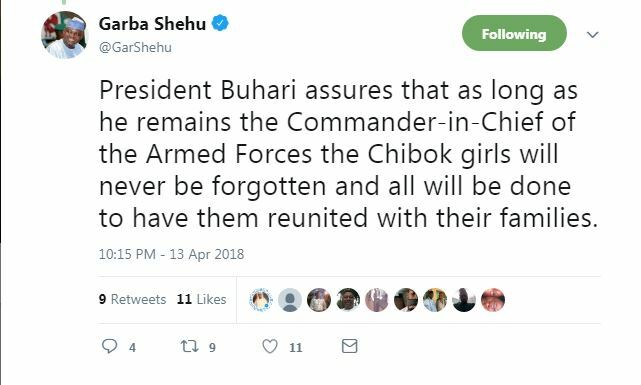 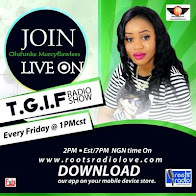 The President’s comments come a day to the fourth anniversary of the abduction of the girls from the Government Girls Secondary School in Chibok Borno State. 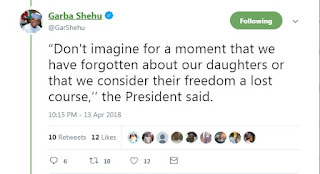 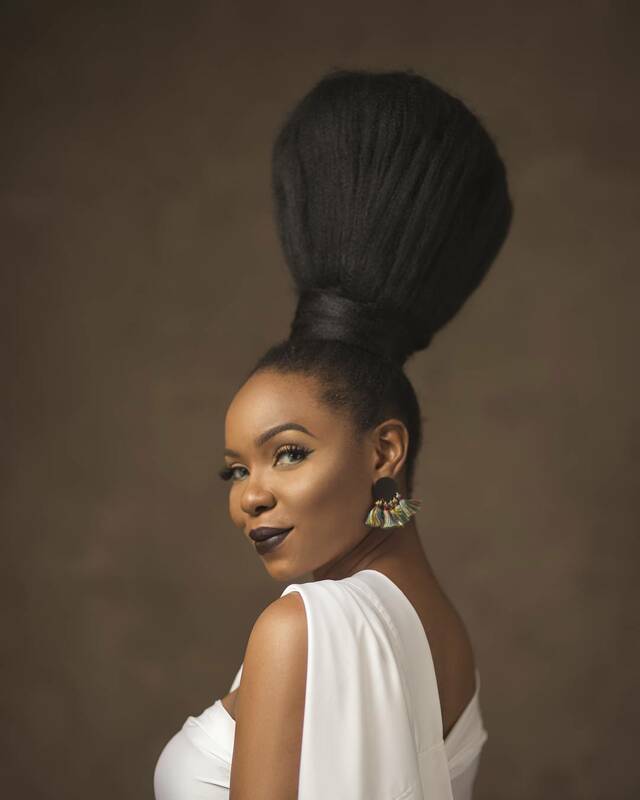 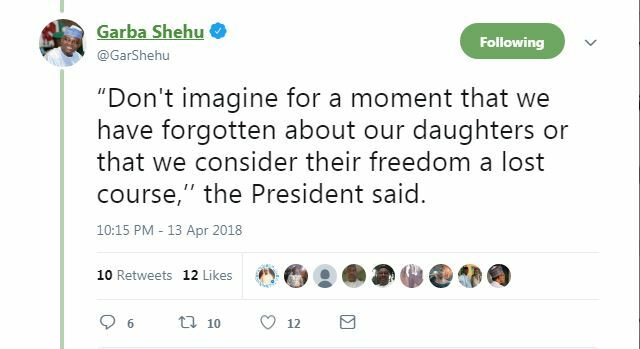 In a series of the tweets, the Special Assistant to the President on Media and Publicity, Mr Garba Shehu, said President Buhari assured the parents of the girls that “their daughters will never be forgotten or abandoned to their fate”.